The Dutch school “Groene Hart Lyceum” in Alphen aan den Rijn is being renovated. 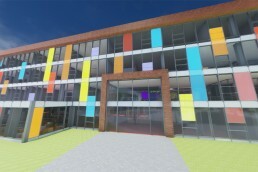 The school will go through a huge change which will make it unrecognizable. For this reason, the school was looking for a way to already show the new building to its students and their parents during the open house. 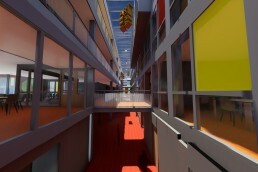 A 360° video was created based on the floor plans of the new school building. All details of the renovation were integrated in the video to create a realistic image. The video was shown in VR with the use of five Oculus Go’s. Before the open house the VR Owl team gave a training with the Oculus Go’s to teachers of the school. Because of this, teachers were able to show their students and their parents their future school in VR during the open house. The 360° video gave insight in the developments of the school to students and their parents. Now they know exactly what to expect when they return to school in 2020.